Morning came awfully quickly today. Emmie is STILL going through her 3-month growth spurt and I have to admit it’s been pretty wicked. We were blessed with sleep before 4 nights ago. Now we haven’t slept in more than 3 hour increments. I hope this bad boy is done soon because we are all struggling. 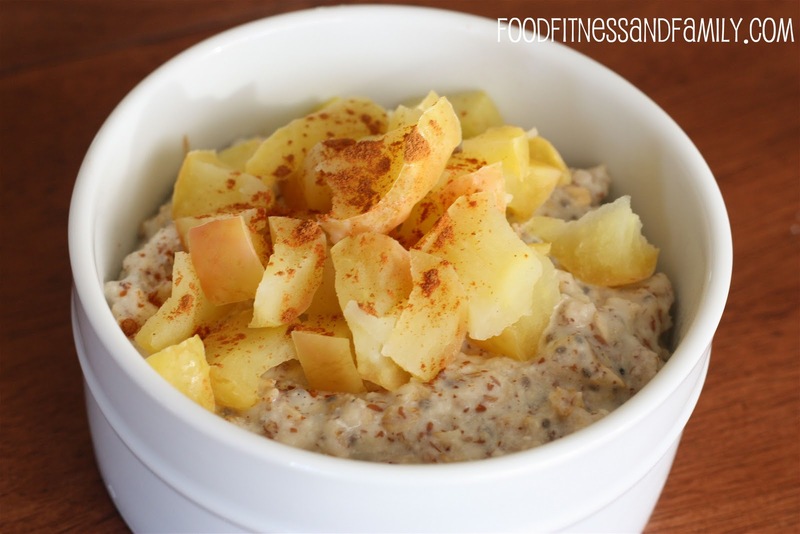 Baked apple protein oatmeal. It was amazing. Recipe coming soon! No rest of the weary! Working out is my saving grace and helps me not lose my schmidt. I did a quick and sweaty 20 minute HIIT on the treadmill followed by 20 minutes of weights. Quick, efficient, and got the job done. Every Friday I take 10-15 minutes in the afternoon to make my plan for the week. My week runs from Saturday-Friday since I grocery shop on Saturday. I peruse my recipes, think about new ones floating in my head, and visit some of my favorite food blogs. I then put them in a folder titled “this week” that sits on my desk for quick and easy access. From there I make my grocery list using the recipes from my folder and go grocery shopping. Finally, on Sundays I devote some time in the kitchen to do some preparation work since the hubs is home and can hang out with Em. I wash and chop veggies and fruits, grill up a batch of chicken breasts, make scrambled egg muffins, etc. 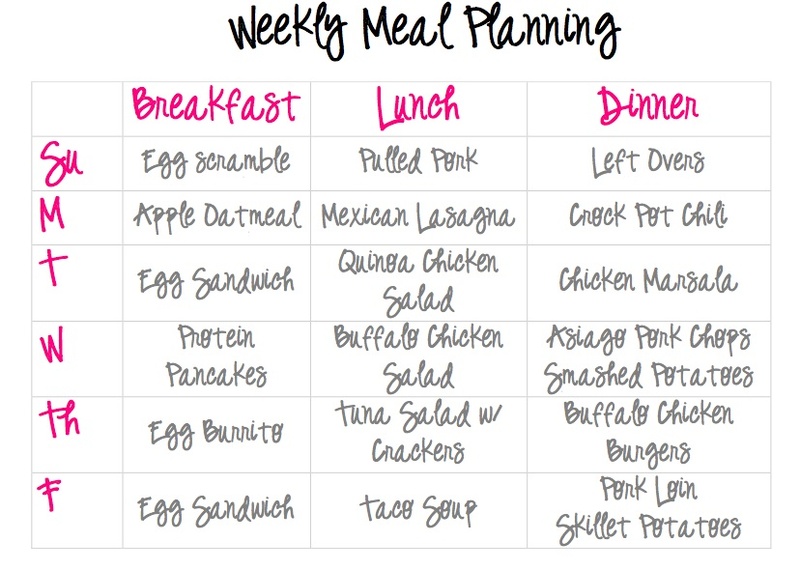 to make my meal prep during the week more efficient. The pre-grilled chicken breasts are awesome to throw on top of salads for that added boost of protein and the scrambled egg muffins are easy for Chris to grab as he heads out the door to PT. One of the best things I have done has been a stock of freezer meals. I did this when I was pregnant to prep for Emmie’s arrival and I am so glad I did. There is nothing better than having a meal ready to go in the oven on days where everything goes south and you’re about to lose your schmidt. Now I make a habit of keeping some meals on hand for days just like that! Good meals to freeze include lasagna rolls, chili, soup, etc. From September through January Sundays in our house consist of two things: church and football. 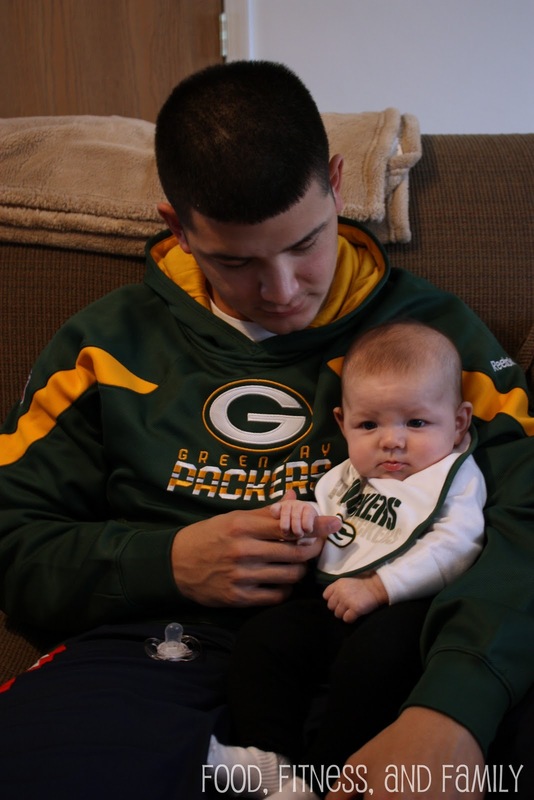 I have said it before and I’ll say it again … Chris and I are both HUGE Packers fans. 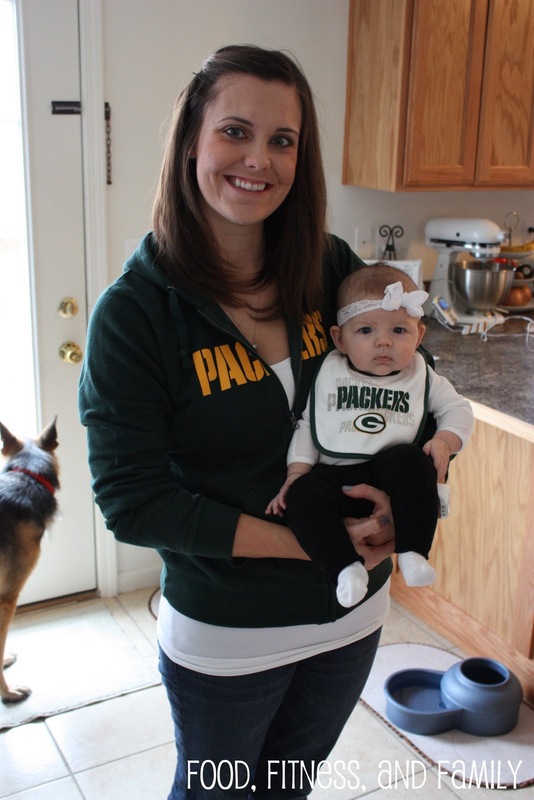 SO even though our beloved Pack had a bye this week, the only colors the family is sporting are green and yellow. A couple of Chris’ old soldiers from Fort Hood are up here for the next month or so doing additional training so they came over to watch the other playoff games today. Having people over for football gives me an excuse to go on a cooking binge! LOVE IT! Drain and rinse the black beans. Chop the celery, red pepper, scallions, tomato, and cilantro. 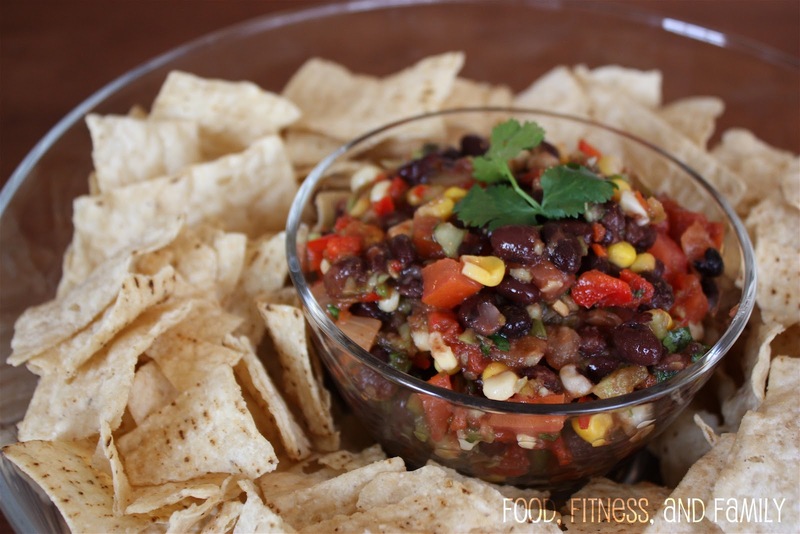 Mix all ingredients together in a medium sized bowl. Cover and refrigerate overnight to allow flavors to develop.